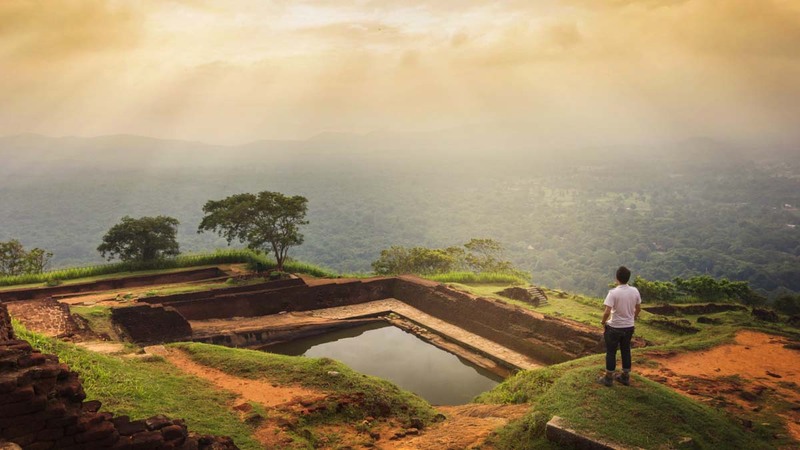 Explore the roots of Sri Lanka, for an authentically cultural experience. 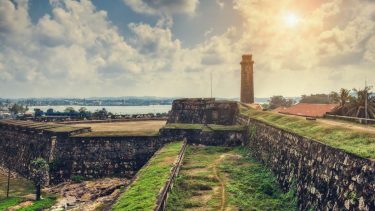 Absorb the electricity of the buzzing capital, Colombo, then unwind with a tour that takes you through ancient gardens and temples, natural wonders, restive parks and sunny beaches. Arrive at the airport & meet Luxe Asia representative at the Airport Lobby, there after proceed to Colombo. The throbbing metropolis, Colombo – located in the West – is not only the country’s capital, but also the turbine that impels above 50% of the national GDP flanking Colombo’s fancy urban development effort. Have a chilled beer at the Dutch Hospital while gazing through fancy windows showcasing best fashion, jewelry & handicraft brands. Smell the scent of incense while listening to the chiming bells of Gangarama temple. Or, jazz up to Colombo’s night life spiced by night clubs & casinos that borderline its bustle. Rest, relax, unwind & spend the rest of the day at leisure in preparation for the journey ahead. After breakfast proceed to Dambulla (approx. 4 hours drive). 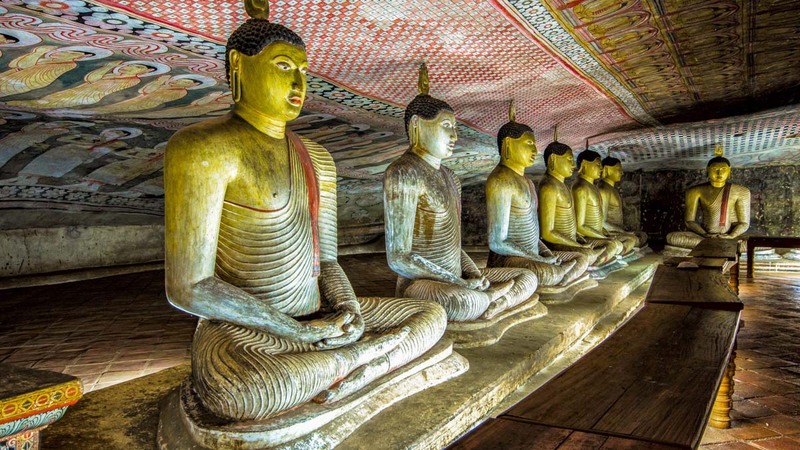 The city of Dambulla lies a hub which has been treasured by many kings since the 1st century B.C. Today, an icon in the face of Sri Lanka Dambulla Rock Temple houses some of the most unique drawings in magnificently constructed 5 cave temples flanking the golden temple of Dambulla. Observe how exquisitely cave paintings are done along walls that shelter 150 statues of Lord Buddha. As you enter the retreat look straight up to the gigantic Buddha statue glittering in gold over a land which today houses an important junction in the country’s economic and cultural uplifting. Transfer from Habarana to Hiriwaduna (Approximately a 03 Hr Village Tour). Hiriwaduna for a 03 hour trek through this archetypal Sri Lankan Village. The trek begins with a scenic walk along a bund of Wewa (man-made reservoir). The amazing birdlife, butterflies and possible sightings of crocodile only add to the charm of the trek. Sight the villagers as they go about their early morning tasks of fishing or washing clothes at the periphery of the lake. Enjoy the farmers humble hospitality. With the guidance of the farmer, pick some fresh vegetables from the plot and join in the preparation of a simple meal prepared in the traditional method using earthenware pots and firewood as fuel. After the lunch go on a bullock cart ride. After breakfast, proceed to climb the iconic rock fortress. 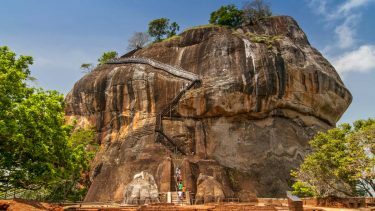 Walk in the shade of an eminent ‘mirror wall’ embracing the Western face of Sigiriya representing an artistic hundred meters laminated with graffiti. Wander into the well-fabricated museum downstairs for an epic journey of yesteryears to realize how the citadel floated above citizens with the castle, ponds and irrigation systems that pumped water right onto its summit with an ingenious hydraulic system describing a colossal masterpiece of the great king which remained a wonder in Asia for centuries. 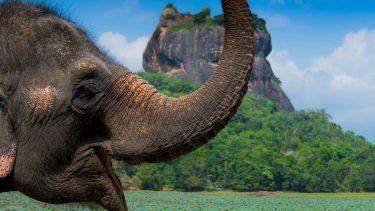 < b>Transfer from Sigiriya to Polonnaruwa (optional). After breakfast, proceed to Kandy, en-route through Aluvhihare temple where the Buddhist doctrine (Thripitakaya) was first transcribed from oral into written form on palm-leaves. Transfer from Spice Garden to Kandy. Do a Kandy City Tour & then in the evening get tangled in the rich Kandyan culture. After breakfast Transfer to Peradeniya. 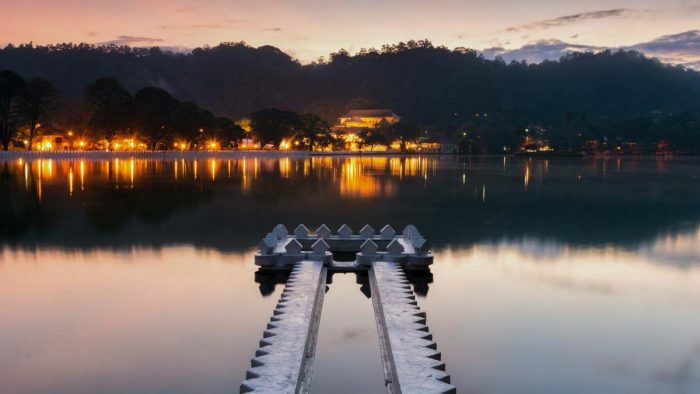 First developed as a pleasure garden under royalty and later harmonized by the British, the Royal Botanical Gardens of Peradeniya – today bundled with the most welcoming facilities located just 4 miles off Kandy – is a flourishing national asset in the Wonder of Asia. Walk into this 147 acre bliss of an experience, passing well-tended lawns, pavilions & an octagon conservatory to be greeted by the vast expanse of a magnificently landscaped lush green turf which will encourage you for an exhilarating break. Towards the north of the entrance rests a cafeteria that one might come across before stepping into some of the highlights – the orchid house & giant Javan fig tree – of this place which overflow in grace. After breakfast, proceed to Horton Plains to experience the breath-taking scenery. Horton Plains, UNESCO World Heritage Site & Eco-tourism hideout in the heart of the isle, painted with unending stretches of green pastures marks one of the healthiest wet montane evergreen forests in Sri Lanka. With an altitude above 7000ft, the plateau sweeps to a robust 3169 hectares sheltering flora and fauna varieties that may be found no where else on earth. As the tributary of Belihul Oya – Bakers Falls – thunders down rocks head off the beaten track – across frost-covered grass – to feel the icy-cold wind against your face. You may even gaze down World’s End, a head-spinning 3700ft drop towards the Southern end or drive carefully through herds of sambar deer, shy to human touch & birdlife chirping across the plains. If you’re cautious enough you may be greeted by the sights of a grunting wild boar, a pouncing fishing cat, otters or even the ‘Spotted-Ghost that haunts the plains’, the Sri Lankan Leopard! Transfer from Horton Plains to Nuwara Eliya & do a city Tour. 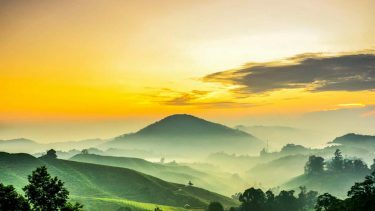 Misty steep roads, twisting through lush green blankets of tea bushes in a cool climate, remind visitors that they are within the range of the renowned British colonial retreat, Nuwara Eliya. Augmented by an English countryside atmosphere, the city of light – once governed by English & Scottish planters – is still studded with colonial bungalows, hedgerows & one of the finest 18-hole golf courses in the world..
After breakfast proceed to Ella. Ella is known as everyone’s favourite hill country village and the place to ease off the travel accelerator. Only 8Kms from Bandarawela, this small town is used as a base for plenty of trekking expeditions to the surrounding country side. A taste of the breathtaking scenery of Ella could be had, if you just walk into the Garden of the Grand Ella Motel (Formerly Ella Rest House), where you seem to be standing at the edge of the world, and everything around you seems to disappear at your feet. Some of the places you could see in Ella are the Ella Gap, Ravana Ella Falls, Little Adam’s Peak and Bambaragala Peak among the other many varied pleasant walks with stunning scenery. In the afternoon you will enjoy a Jeep Safari at Uduwalawa Nationalpark. Marked by relatively large herds of elephants, the national park proves to be one of the best places one could observe them in their natural habitat. You are most likely to drive into your first herd of giants within the maiden hundred meters. Turn on your radar into other species – such as potted deer, sambur, barking deer, water buffalo and jackal – found within the park. After breakfast you will visit Udawalawe Elephant Transit Home at 09.00h. 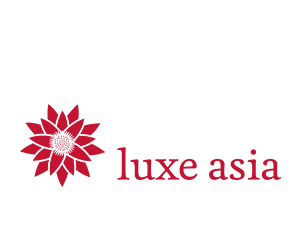 Established in 1995, it caters to all injured elephants found in the area before releasing them into their natural habitat. So, make sure to just watch – rather than touch – these gentle giants as they feed, play and mingle with each other, before heading into the wild with one another. Lean legs, curved bills and pink feathers should ring your bells that you are in flamingo country. With its lagoons, reservoirs and salt pans, Bundala National Park offers an oasis for all kinds of birds extending from bee-eaters to greater flamingos, the latter recording over 2000 in number at a time. Trace your safari along the hardened trails of the national park. Meanwhile, sit back and observe in tranquility – while you may be greeted by a gawking crocodile or a lone tusker – as your tracker explains the way of life in the park. Afterwards you will visit the epic Southern capital where classic Dutch architecture meets a tropical setting creating a vivid atmosphere in beauty. Walk the Dutch-haunted streets listening to the creaks of wooden saloon doors and observe how European architecture mingles with South Asian traditions today flooding cultural enthusiasts on a global scale. Its original ramparts and bastions preserved up to date showcase evidences of a heritage preserved for more than 3 1/2 centuries. Proceed north to your hotel..
Rest, relax & unwind at the sun kissed beaches of Kaluthara or Hikkaduwa.